engrave a personal message on the bottom of the mug? engrave a personal message on the bottom of the mug? (required)Yes Please! (+ £3.99)No Thanks! engrave a personal message on the bottom of the mug? (required)Yes Please! (+ $7.25)No Thanks! engrave a personal message on the bottom of the mug? (required)Yes Please! (+ €4.71)No Thanks! 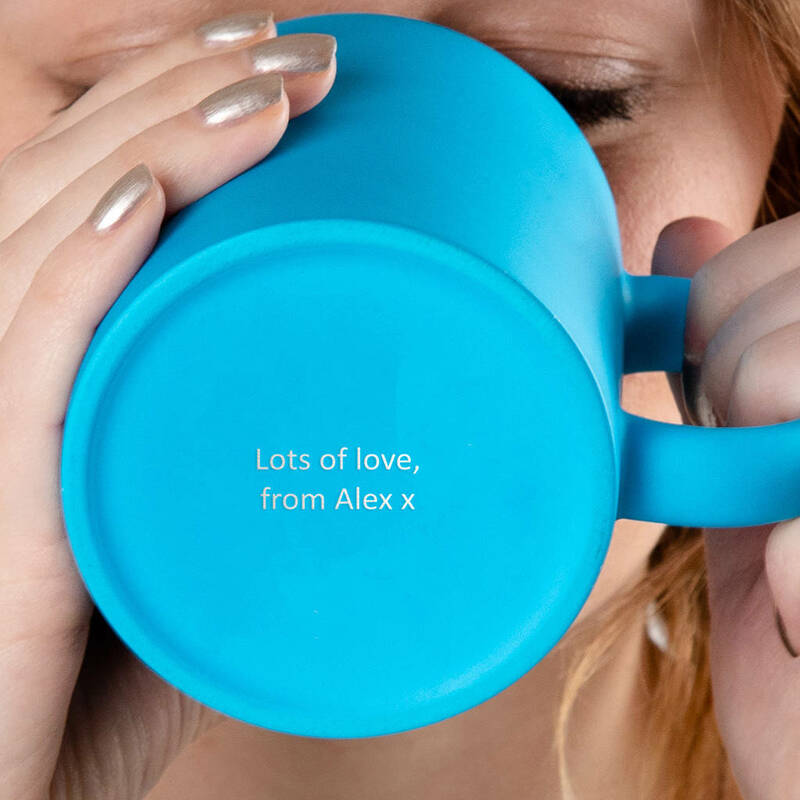 engrave a personal message on the bottom of the mug? (required)Yes Please! (+ $5.78)No Thanks! 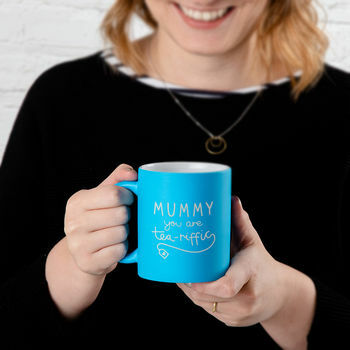 Any tea-riffic mummy will love these personalised mothers day gifts. Whether it's her birthday or just because, she'll love showing off her personalised mum mug! 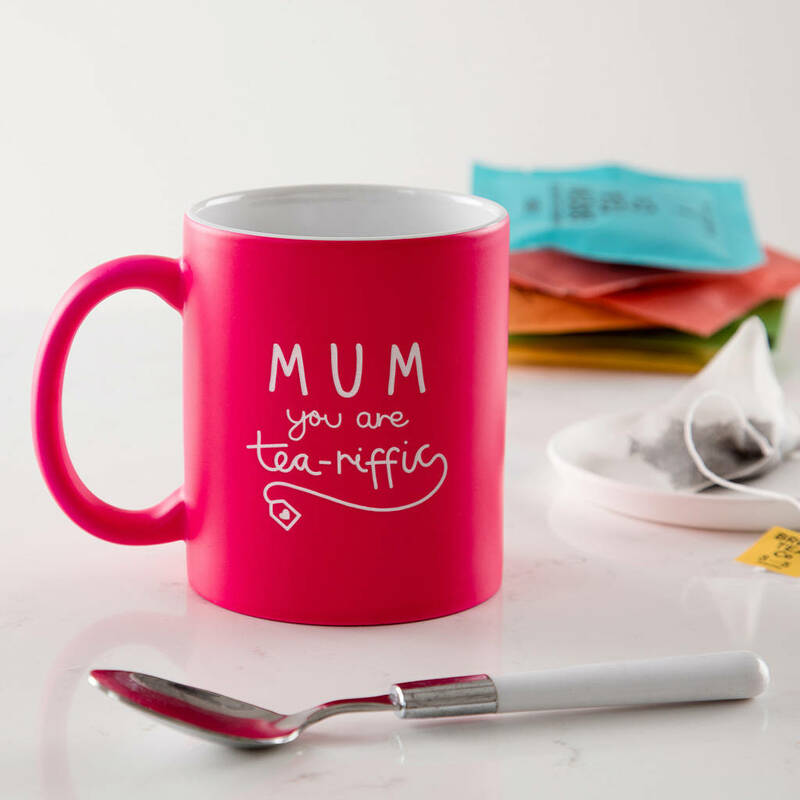 If you are on the hunt for unique mothers day or birthday gifts for mummy, this personalised tea mug is sure to hit the spot! If she is the kind of woman that always has a cup of tea or coffee in hand, she will love showing off her personalised mum mug on the side table or her desk in work! We will individually engrave mummy's mug with the name of your choice, above with the sweet sentiment 'you are tea-riffic' in a beautiful flowing font, and a cute tea bag illustration. 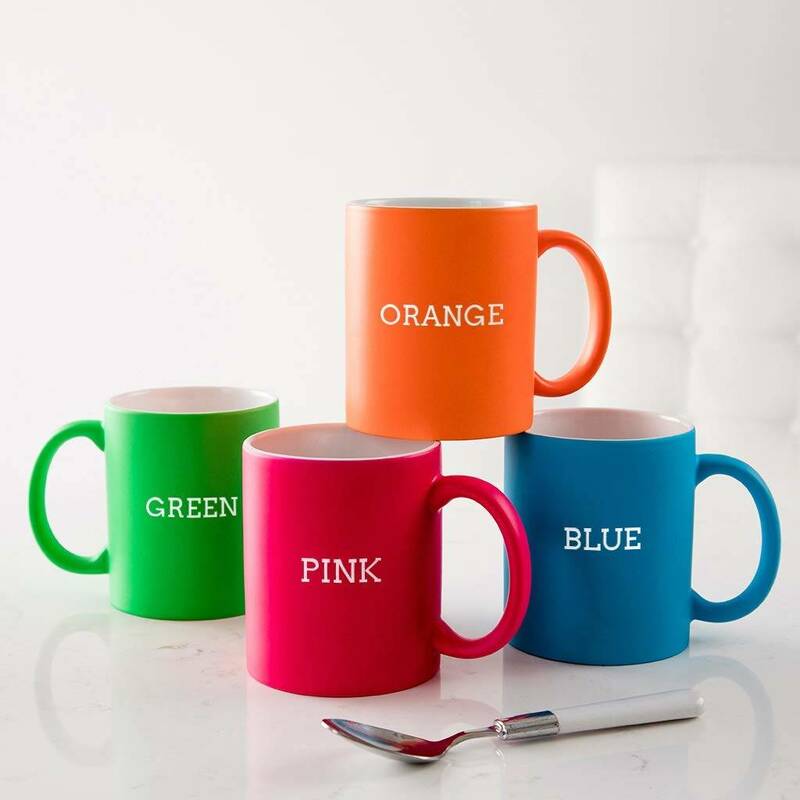 Select your shade from a choice of four colourful mugs, we offer: blue, green, pink or orange. Simply provide us with your choices and we will create a personalised mothers day gift that mum is sure to cherish for many years to come! The sweet pun on the front of this 'tea-riffic' mum mug will bring a smile to her face every time she looks upon it, and makes for a truly special gift for any tea loving woman! This mug is fully personalisable with the message of your choice. Available in a choice of - Blue, Green Pink or Orange, all with a stylish matte finish.